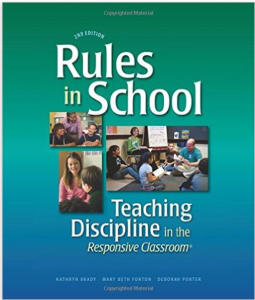 “Rules in School” is a quick read. It’s full of headings, numbered steps, and bullet points. 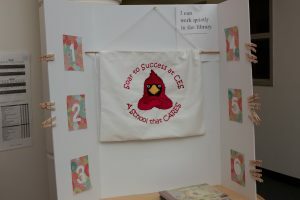 The techniques in the book helped me introduce library centers for making, illustrating, coding, wondering and researching in the library. Create a meeting space to begin and end each session. Assign a number to every student in each class. Purchase clothespins and number them 1-24 with a sharpie. Put the clothespins in a bowl. You’ll also need a trifold billboard. Add the numbers of the stations along the edges of the billboard. We have 6 stations in our library. I numbered the left side of the billboard with the numbers 1-3, and 4-6 on the right side of the board. Purchase clear plastic double-sided sign holders. 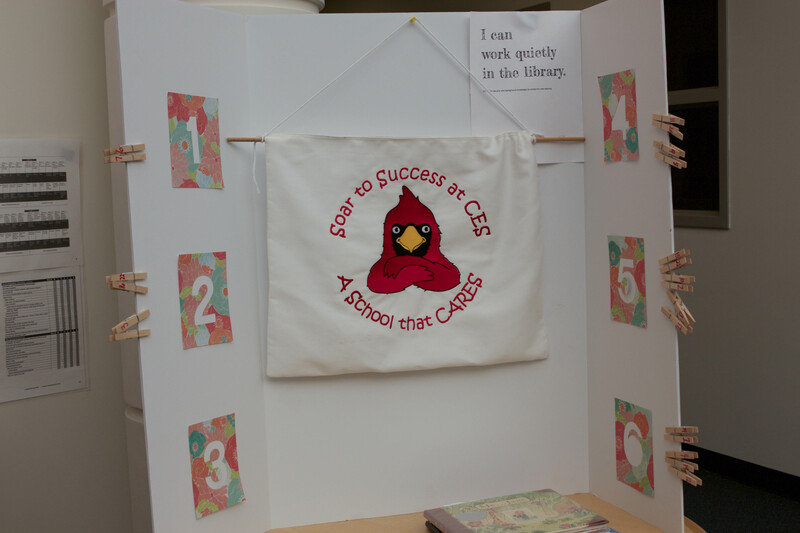 Make “I Can Work Quietly in the Library” signs for each station. Put the same activity at every station. I put a puppet and a book at each seat. Students gather at the meeting space. Explain that you want them to have choices when they visit the library. Share the possibilities of what the stations will eventually look like. Explain what is at each station. I have an Apple TV in the library, so I use the camera app on an iPad to show on the monitor what is available at each station. Model what it looks like and sounds like to take a clothespin, pin it on the billboard next to a station, walk to the station, and quietly get to work. Ask children what they noticed about what you did. Ask a child to model the same steps. What did the children notice? The silent signal is introduced next. 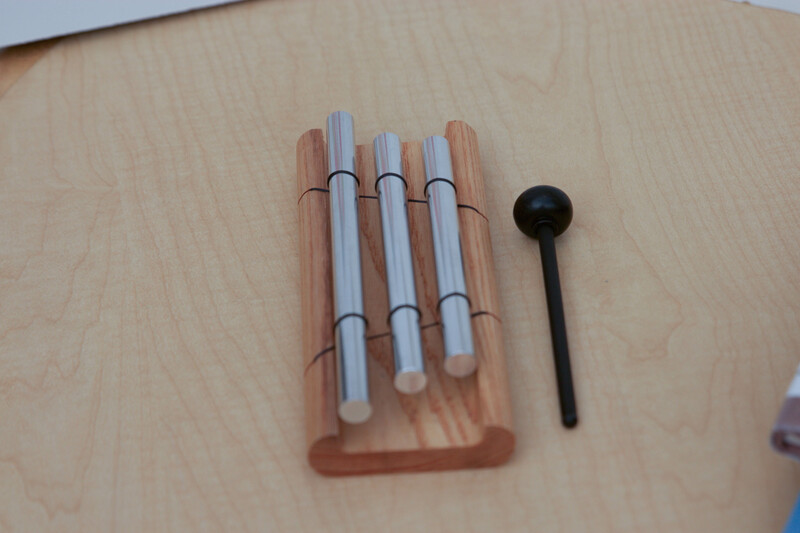 Model what it looks like and sounds like to give the silent signal when the zenergy chime rings three times. Practice with children. Follow the same steps for cleaning up a station, pushing in chairs, and sitting at the meeting space. What did the children notice? Ask a child to model. 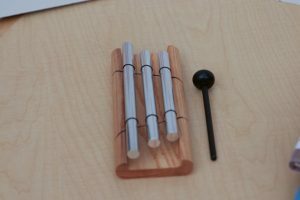 Model what it looks like and sounds like if a center is full and you have to choose another station. What did the children notice? Let children know that it’s o.k. if they don’t get their choice this week because they can always get a chance next time. Introduce the “Take a Break” seat. Model what it looks like and sounds like to “Take a Break.” Children will notice that you quietly sit at a desk, take deep breaths, and relax. Explain that some may choose to take a break on their own, or the teacher might decide to have a child take a break and regroup. 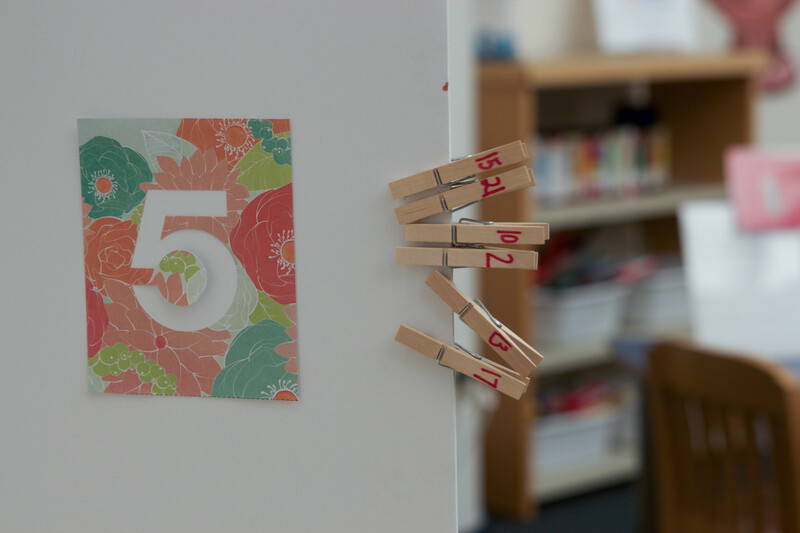 Pick a clothespin from the bowl, announce the number, and allow children to choose their centers and get to work. Introduce a new station during the next class. I introduced the Seesaw app. Model how to use the app. Explain that not everyone can go to the Seesaw station. What does it look like and sound like to feel disappointed and choose another station? 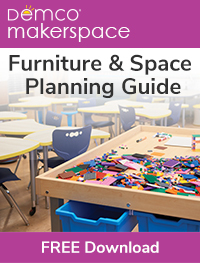 Ask a child to model making another choice in a quiet manner. Ask the class what they noticed. I will add another station with Chromebooks. 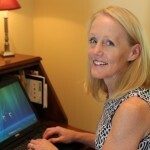 I will ask children to write or draw what they wonder about the world around them using the Chromebooks. I will introduce making centers, a Dash center and a video production center next. The children are engaged in their learning and enjoying the freedom of making choices in their learning. 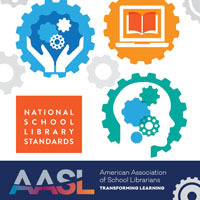 I am looking forward to introducing more centers where children can practice information literacy skills. 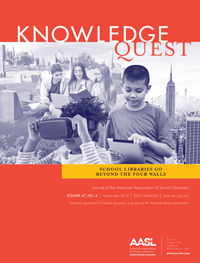 Do you have centers in your library? If so, what are your management tips? Please share in the comment boxes! I want to thank Tim Ley (@Tfley) for inviting me into his library where two classes at a time enjoy independent learning centers. 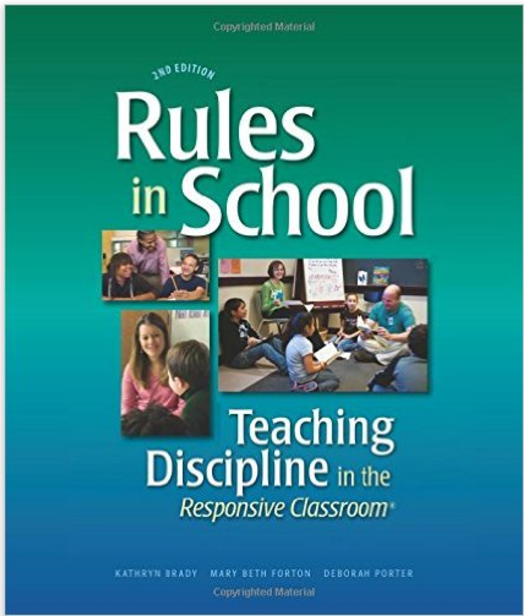 I also want to thank Principal Judy O’Meara for giving all teachers in our school a copy of “Rules in School” and giving me release time to visit Tim’s library. Thank you for sharing this! I have been trying to figure out a way to introduce centers for my students that visit me as a Related Arts class, and this will be a perfect way to do it!